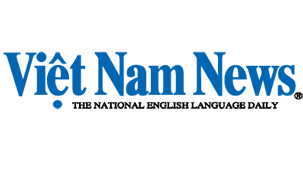 Enhancing cultural exchanges between Vietnamese and foreigners is one of several activities to be implemented by the Ministry of Culture, Sports and Tourism, Deputy Minister Ho Anh Tuan told Viet Nam News yesterday. The ministry has promulgated a programme comprising various plans to be carried out from now to 2019 to respond to Resolutions 33-NQ/TW and 102/NQ-CP, which aim to develop the Vietnamese culture and people. International integration in the field of culture is one of the resolutions' targets. Accordingly, the culture ministry will assign Vietnamese cultural counsellors to promote the country's image in foreign countries. 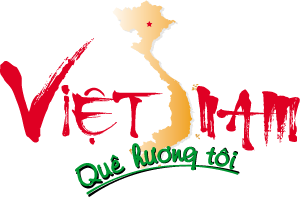 Vietnamese cultural centres will be set up abroad during the 2016-20 period to organise cultural weeks and art performances. A foreigner enjoy Mid-Autumn Festival with local youth in Ha noi. Vietnamese ministries plan to introduce cultural activities to foreigners. "We will focus on teaching Vietnamese language and promoting the national culture for Vietnamese people abroad and foreigners in Viet Nam," he said at a seminar held here yesterday. Deputy Minister Tuan conceded, however, that there was a lack of similar activities for the community of foreigners living in Viet Nam. "Most cultural activities for foreigners are organised by the Ministry of Foreign Affairs, the embassies and foreign-related organisations," he said. "We plan to join hands with the Ministry of Foreign Affairs and other agencies to introduce cultural activities for foreigners living in Viet Nam." A strategy to promote Vietnamese culture by enriching entertainment options for foreigners in Viet Nam was currently awaiting approval from Prime Minister Nguyen Tan Dung, which was expected in the first quarter of this year, according to Tuan. Several journalists pondered over the stated mission of developing Vietnamese people comprehensively in terms of personality, morality, constitution, creativity, intelligence and awareness of patriotism and obligation to family, society and the country. Bui Hoai Son, vice director of the Viet Nam Institute of Culture and Arts, suggested intensifying art education and upgrading the artistic sense of people, especially those living in rural and remote areas who lacked the chance to enjoy cultural and art activities. "To enhance the cultural level of the common people, first we need to enhance the ability of cultural managers, trainers and officers," he said. Dao Manh Hung, head of the ministry's Training Department, said he was especially concerned about the training of students who majored in culture, art and sports. "Training these specialised students needs professional lecturers," said Hung. "I think it's necessary to invite People's Artists and Excellent Artists to teach at the universities and schools of these specialities. Following the Government's policy to teach traditional arts such as hat xoan [spring folk singing in the northern province of Phu Tho] and quan ho [love duets] at schools, we should invite the artists to help train the students and share their knowledge with the teachers."